With each iteration of Windows, Microsoft has improved the new Sets functionality, and it’s become far more useful in the latest Insider Preview build. The company has introduced multiple new features, fixes and enhancements as part of the latest Windows 10 Insider Preview build 17639. Part of the Redstone 5 development branch, the build has been released to insiders on the Skip Ahead mode, and includes improvements to Sets, Bluetooth settings and the Calculator app, among minor usability changes. The features are expected to be rolled out to the stable build of Windows 10 by the end of the year. The latest build adds a few new options to ‘Sets‘, including ‘Drag and Drop’ support for app tabs within and between Sets Windows. Users can also now use Alt + Tab to switch between multiple app tabs. 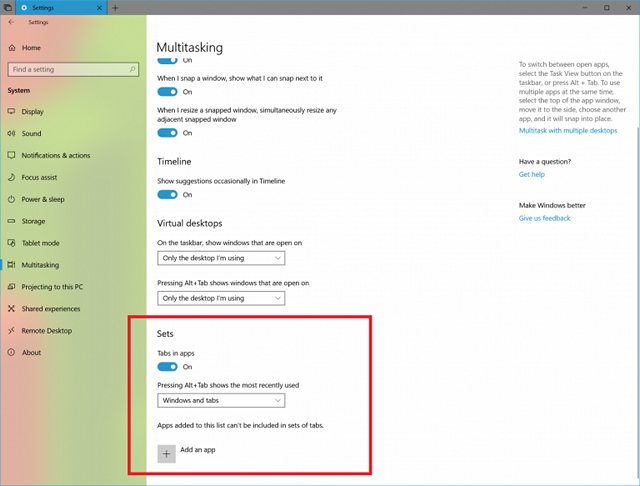 Microsoft has also updated the controls for Sets through the Multitasking section in Settings. According to the company, Sets now has its own searchable section on this page. The build also adds new shortcuts to work with File Explorer tabs. The company also says it has added a few new UI elements for easily opening new tabs and windows in the File Menu. 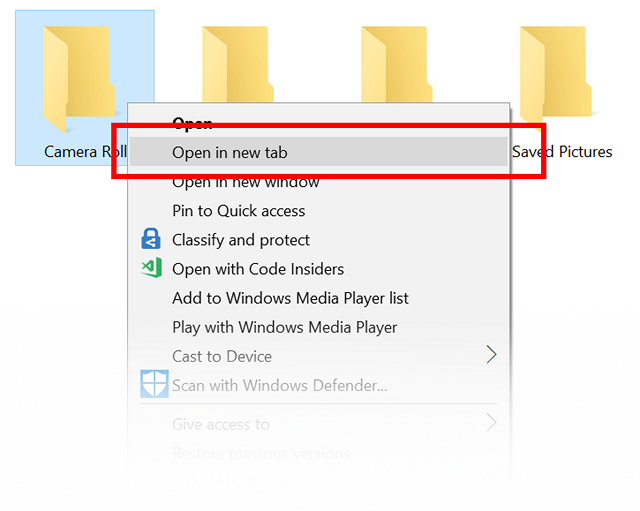 It is also adding an ‘Open in new tab’ option in the context menu when right-clicking on a folder in File Explorer. 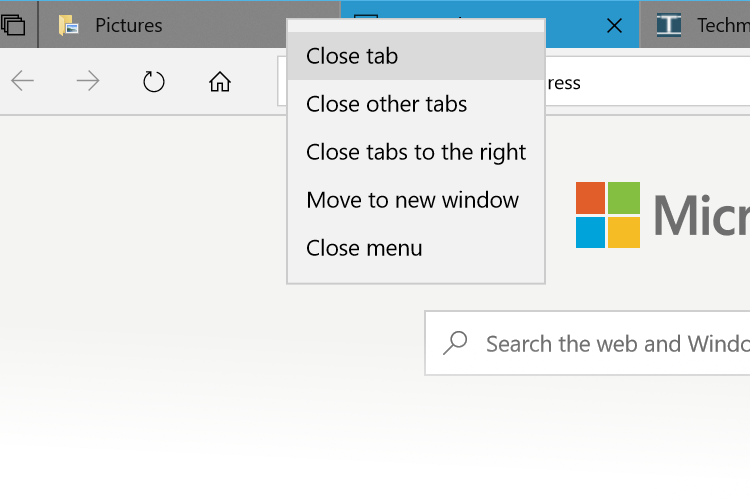 There’s also a new context menu for tabs in Sets, with options including “close other tabs”, “move to new window”, and “close tabs to the right”. There are various other relatively minor tweaks and fixes that have been implemented based on user feedback. In Settings > Bluetooth & other devices, users can now check the battery level of their Bluetooth-enabled devices paired to the PC. For Bluetooth devices that support this feature, the battery percentage will update whenever the PC and the device are connected. Weirdly enough, the Windows Calculator failed to correctly display square roots of perfect squares, returning results such as 1.99999999999999999989317180305609 instead of ‘2’ when trying to calculate the square root of 4. That, now, the company claims, will be a thing of the past. In addition to the changes listed above, the company has rolled out a whole bunch of other improvements and fixes, so you can head over to the link above to check out all the details for yourself. It’s worth noting here that the RS4 update is expected to be rolled out universally any day now, so it shouldn’t be long before RS5 moves to the standard Fast ring, meaning this might very well be one of the last RS5 builds to be released to Skip Ahead insiders. Either way, users who are a part of the select group can grab today’s build by heading over to Settings > Update & security > Windows Update > Check for update.